Frequently tales are told of stellar customer service, but often times those stories involve one individual and one incident. It’s rare that a company can develop methods that make incredible customer service the norm. Let’s look at a number of elements of great customer service like the kind provided at Atlantic.Net that can make the experience so memorable, your customers will want to tell their friends or “write home” about it. The power of the unexpected – Great customer service forms great relationships, and what better way to create loyalty than connection. In his psychological research, Norbert Schwartz discovered that people become likely to want to reciprocate favors –regardless how small. In other words, helping people or giving to them is powerful. For bonus points, give an unexpected treat to your customers, breaking through the financial dynamic of your relationship. Be like your audience – Along the same lines as giving the unexpected, connection is established through similarity. Implicit egotism is a psychological theory suggesting that people like that which is like them. If you have a new customer, research them as much as you can to find out what makes them tick. It’s just like finding conversation topics in a face-to-face interaction. Control – First you need to let the customer get the sense that you will remain in control. It’s not about making them think that you are in control of them; rather, that you will not lose control by becoming emotional in response to their anger. Acknowledge – You shouldn’t ignore the frustrated customer, though. Acknowledge the difficulty that has occurred. Actively listen to proactively solve the problem, and be empathic rather than cold. Refocus – Now that you have engaged a little bit emotionally, a shift from an emotional framework to a problem-solving one. Direct yourself squarely toward finding a solution. Problem-solve – Ask questions and give answers to the customer’s questions. Consider and discuss possible paths that can be taken. Most importantly, be reliable and available (to whatever extent possible) until everything is resolved. Be quick on your feet – Raphael Caixeta notes that response time for any customer problem is critical. Procrastination is easy if you know the company was at fault and you’d rather not deal with the customer’s irritation, but deal with it promptly. Even if the problem isn’t immediately solvable, keep the client posted that you are working on it. If you are unable to do what they need, and they can find help elsewhere, let them know that as soon as you can. Give the customer time – While you need to be quickly moving to solve the problem, one crucial part of active listening is waiting for the customer to say what they need to say. If you believe that the customer is being unprofessionally obnoxious, let them know that they are getting out of line. Be careful what you state, of course, because many customers somehow got the crazy idea that “the customer is always right” (a notion criticized by Ty Kiisel last year). Speak the customer’s language – Of course, much of the advice in this piece has to do with connection and empathy. One mistake that can be made by customer service representatives is not wording everything as clearly as possible, in language, anyone can understand. 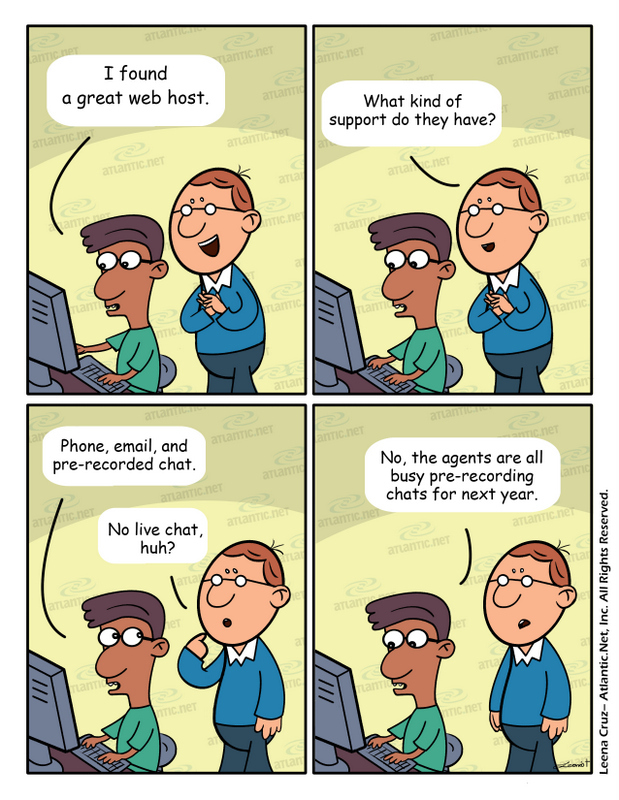 For instance, a tech support rep can easily confuse a customer who already feels out of sorts. Keep everything simple and to the point. Be knowledgeable – If you don’t immediately know the answer to a question, get the correct answer. Whatever you do, don’t accidentally mislead a customer who is already on the edge. In general, being well-read within your field and being able to answer questions that relate to the topic, beyond the boundaries of your own business, can win huge points with customers. Deliver – It’s easy to get a mindset when solving a problem that you want to say anything to end the frustration. That can lead to over-promising and under-delivering. If anything, you want to do the opposite: under-promise and over-deliver. Even better: don’t make promises. Each of the above tactics can help your customer service become memorably impressive to customers, rather than just an annoyance or an aside. You want your customers mentioning the great experience, “writing home” about it. More than anything is the element of calm, framed as control, in the CARP process. Move as quickly as you can, but always be the voice of reason: many customer service issues are blown way out of proportion by the fear that the issue is unsolvable. We aim to solve every customer support issue rapidly that arises with our reliable and trusted Cloud Hosting services at Atlantic.Net. Our technical staff is always here to discuss any Cloud Server options and offer the best technical solutions. We also offer HIPAA compliant hosting solutions.